Alzheimer's Disease- What's Happening in the Brain? Get access to the results and progress of family members. Try it for free! 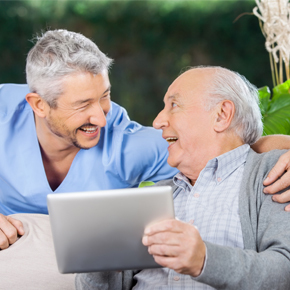 CogniFit is a scientific program with exercises that are able to help improve cognitive abilities that are affected by Alzheimer's and other forms of dementia. The brain exercises for brain stimulation that we use are clinically validated and were created by a team of neurologists and cognitive psychologists, applying the latest discoveries, treatments, and neurological advancements to our cognitive training program. The studies showed that the loss of cognitive function may decrease if properly exercised. Thanks to the training programs, you will be able to train your weakest skills depending on your cognitive state. Our cognitive abilities were based on numerous studies that show the reliability of our results. 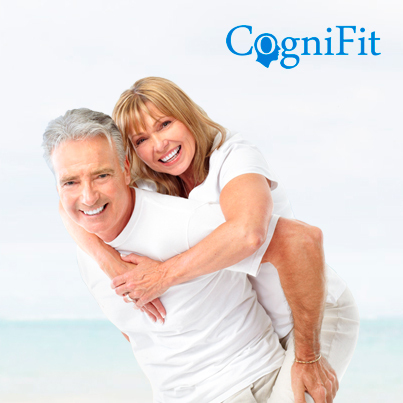 CogniFit is an innovative training program that adapts to the particular needs of each user and helps to combat the first symptoms of Alzheimer's, delaying the effects of the neurodegenerative illness thanks to the creation of a better cognitive reserve. All of the exercises are made to help transfer the trained cognitive abilities to the main functions of daily life. Evaluation and personalized diagnostic. Detection of cognitive level. Maintenance of the most deteriorated brain skills. As there is no definitive cure for Alzheimer's, its early detection is vital to delay its negative effects. Symptoms like confusion, loss of memory or attention, motor disorders and mood swings may be indicators of cognitive deterioration. If the neurons do not receive the stimulus from nearby cells, they atrophy and die. Training the brain with CogniFit develops new neural connections which in turn creates more connections. Although there is no guarantee for the prevention of dementia, it is possible to start exercises that help you to enjoy independence and a full life for a longer time. Early detection and treatment application may make a big difference. Some habits of a healthy person can help maintain a young brain and reduce the risk of suffering from Alzheimer's. High mental activity is related to a smaller decrease of the hippocampus. This part of the brain is fundamental for our cognitive vitality, as it is where we store memories and usually the first place that is affected by the disease. Although there may be a genetic predisposition to have Alzheimer's, practicing mental exercises may help to delay its onset. 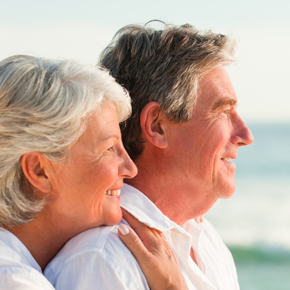 Alzheimer's disease affects older people's memory, thought, and behavior. Alzheimer's progresses relentlessly, causing those with this disease to gradually forget their past and make it difficult to remember even simple everyday tasks. Patients will eventually end up forgetting even the names of their family members. What causes Alzheimer's disease? While the majority of scientists hold the belief that Alzheimer's is not a normal part of aging, considerable debate still surrounds the issue. Alzheimer's disease affects a wide part of the brain. It starts by disrupting the way in which electrical charges travel in the cells as well as the action of the neurotransmitters. This causes a disruption in the communication between the nerve cells, thus affecting various functions of the brain. The other effect Alzheimer's disease has on the brain is that it destroys nerve tissues in all parts of the brain. This eventually results in a considerable reduction of the brain, thus affecting almost all of its functions. The reduction is most severe in the part of the brain known as the hippocampus - which is responsible for working memory as well as the formulation of new memories. Other noticeable changes in the brain is the reduction of the cortex, causing the damage to the parts responsible for thinking, remembering and planning. Under the microscope, we can see that Alzheimer's tissues only have a few nerve cells and synapses when compared to a healthy brain. There are also abnormal clusters of fragments of proteins called plaques, that build up between the nerve cells, as well as tangles in dead or dying nerve cells. Tangles are made up of twisted strands of another protein. Both these knots and plaques are considered the main cause of loss of tissue and death of cells in the brain of a person suffering from Alzheimer's. When tangles form in the brain, the brain's pathways fall apart and disappear, disrupting the supply of nutrients and others to the cells, leading to their death. Plaques on the other hand are mostly formed by beta-amyloid which blocks signals from one cell to another at synapses. As Alzheimer's progresses, these plaques and knots will start spreading in the cortex. They start at the areas of the brain dealing with memory, planning, thinking and learning before proceeding to speaking and understanding and areas dealing with sensing the aspects around the individual. At severe stages, the cortex is damaged and wide spread death of cells cause the shrinkage of the brain. The progression rate of the disease varies from one patient to another, with some living an average of 8 years, while others survive for up to 20 years. Different aspects will also affect the progression of the disease, including existing health conditions and age when the disease is diagnosed.